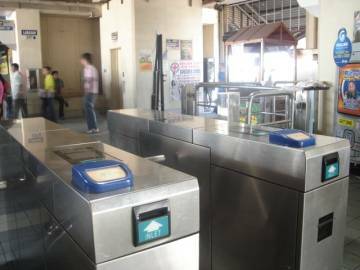 Micrologic Readers and Gate Controllers installed on Mass Transit Turnstiles and co-existing with Magnetic Card Systems. The payment medium consists of stored value contactless smart cards that can be topped up using a cellular phone. 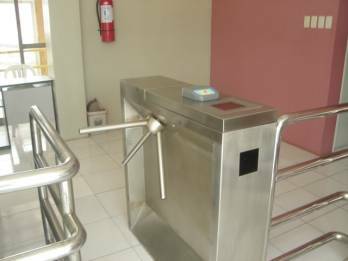 Micrologic Turnstile Gates equipped with Contactless Smart Card Readers and Barcode Scanners.